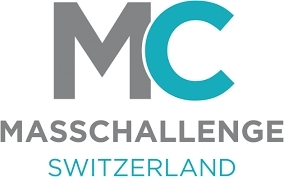 On 10 February the first MassChallenge Startup Summit will take place in Switzerland. 21 start-ups have now been selected. Around ten out of these 21 will present their projects at the event. Lift and MassChallenge Switzerland have joinded forces to present the MassChallenge Start-up Summit. 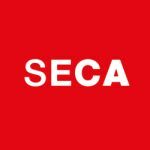 The jury selected several startups, among them MC alumni as well as a selection of "the 50 Swiss startups in which to invest" initiative by Bilan to join the event. After a first round of selection, around ten startups will be allowed to pitch their projects to the audience composed of experienced entrepreneurs, investors and academics. In the first round, 21 start-ups have been selected. Among them are 15 companies from Switzerland. ArtanimInteractive is a company specialized in the creation of events and interactive installations. They have avant-gardes technologies for the most interactive experiences. BestMile provides pioneering solutions and services for autonomous mobility. They manage driverless vehicle fleets remotely with their software. Comfylight develops novel in-home security products and services. Its first product is a simple and elegant security solution built in a sensor-packed light bulb and a smart phone app. EcoRobotix develops revolutionary autonomous robots allowing to reduce negative impact of modern agriculture on the environment. Fastree3D aims at producing 3D cameras that enable vehicles and machines to recognize, locate fast moving objects in three dimensions in real-time, enabling safe and intelligent actions such as driving assistance or autonomous navigation. The disruptive Femtoprint technology is an innovative manufacturing process able to produce 3D micro devices integrating optical, fluidic, mechanical features down to the nano-scale in a single substrate. Intento is developing wearable non-invasive neuro-prostheses that promote brain reorganization and functional recovery in paralyzed stroke patients. Metaco has the first Blockchain infrastructure to enable smart contract issuing, market-making and trading. Morphotonix enables cost-efficient and industrially-compatible fabrication of additive-free holographic-like effects on large, 3D, high-precision moulded articles, used for brand recognition or as security features. Plair develops real-time aerosol detectors dedicated for Research, Meteo, and Healthcare institutions concerned by air quality, contamination, and pollution. Orbiwise provides a complete “low-power wide-area” wireless communication system, optimized for connected objects, including core network software, gateways and device reference design. Alkeus is developing a new treatment for dry age-related macular degeneration and Stargardt disease. Disease Diagnostig Group (DDG) is a pre-revenue medical device company specializing in the development of rapid, accurate, and inexpensive disease diagnostic tests. Fluid-screen has developed a revolutionary new bacterial detection system for quality assurance testing in fields such as municipal water supply, medical applications, and food processing. Neumitra develops embedded biomodules to accurately and continuously measure the autonomic nervous system throughout daily life demands. Railpod is a robotic rail track inspection system, that increases the frequency and quality of day-to-day railroad track inspections. MOM incubator is an inexpensive, electronically controlled, inflatable incubator constructed to decrease the number of premature child deaths within refugee camps.